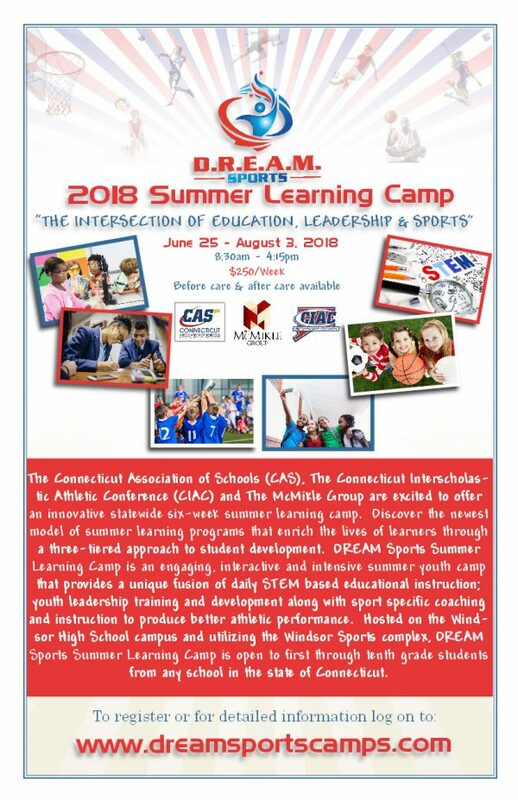 CAS-CIAC is excited to partner with the McMikle Group and the Windsor Public Schools to offer an innovative summer learning camp that combines leadership, athletics and academic enrichment. The D.R.E.A.M. Sports Summer Learning Camp is a six-week youth camp that is open to any Connecticut student in first through tenth grade. Detailed information is available at www.dreamsportscamps.com. Questions can be directed to Jenn Buckley at jbuckley casciac org.